Have you ever seen those seemingly simple how-to craft guides Not Every Pinner Is A Winner: Making Fun Of Pinterest Not Every Pinner Is A Winner: Making Fun Of Pinterest Pinterest is, for the uninitiated among you, a social network which revolves around images, with users pinning pictures of anything and everything in vast collections. It's an intriguing idea which seems to resonate mostly with... Read More on Pinterest, the types that inspired blogs dedicated to their poor results? DIY Dammit is the antidote to such bad Internet craft advice, overcoming failure with comedy and a steadfast sense of apathy. The results are funny, entertaining and somewhat educational Don't Try This At Home! Extreme Science Experiments With Photonicinduction [Stuff to Watch] Don't Try This At Home! Extreme Science Experiments With Photonicinduction [Stuff to Watch] The combination of YouTube, scientists and the quest for rating often makes for explosive results, whether it's a running joke about being terrible at science or zero-gravity experiments that look incredible. This week's Stuff to... Read More – even if the lesson you learn is of the “never try it yourself” variety. Hosted by Joselyn Hughes and her canine companion Jones, the show appears on the Nerdist with a new episode airing every Wednesday. Being the Internet, you should be prepared for a few naughty words – this isn’t Blue Peter. It turns out that nerds love video games, so what better way to kill hours of your life than by making a Tetris piñata from scratch? Before watching this video I really had no idea how time-consuming these were to make, nor that the origin of the piñata has been recently suggested to be China, rather than Spain. Regardless, I’m probably never going to make one now. In a fine example of an organised show descending into madness, comedian and actor T.J. Miller (he was in Cloverfield) makes things “interesting” with his unique brand of ham-fisted comedy. As ever there’s some genuine technique in this, using a balloon to mould a bowl-shape from papier-mâché, then carefully (or not so much) applying a gold leaf layer. Simple stuff, but not so much for Miller. 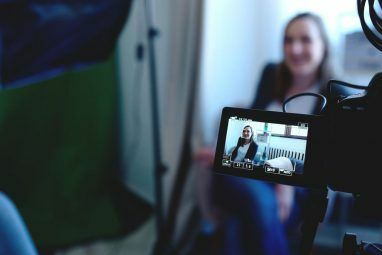 For videos where a hilarious comedy guest isn’t resorting to ruining everything, Joselyn’s comedy usually comes in the form of a running joke – exemplified here. It’s not the first time someone’s overused the “profanity beep” to comedic effect but it certainly tickled me. 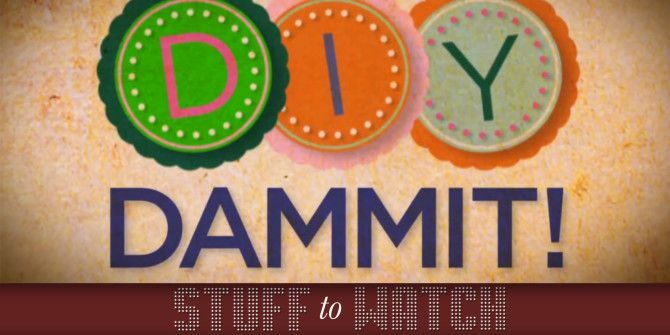 This was the first DIY Dammit video I saw, as my girlfriend trawled YouTube for tie-die inspiration. Featuring Grace Helbig of it’sgrace, the two walk us through a slightly different way of getting a psychedelic pattern onto fabric. The humour is surreal, in-keeping with Grace’s usual schtick, and the tie-dye results are… tie-dye. Hollowing out toy dinosaurs and putting plants in them seems like a great idea, and it also looks pretty cool once complete. Unfortunately there’s the issue of finding dinosaurs that are squishy enough that you can cruelly cut holes in them, and the toxic plastic they’re made from probably not helping much either. This is my absolute favourite episode of DIY Dammit! 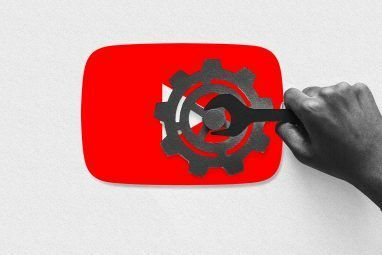 thanks to some clever editing, reminiscent of weird comedy duo Tim and Eric JASH: A YouTube Entertainment Network With Big Names & Weekly Updates JASH: A YouTube Entertainment Network With Big Names & Weekly Updates Read More . The finished result is also probably one of the more impressive I’ve seen on the show, utilising model railway figurines in between small succulents to create a mini-terrarium that should brighten up any desktop or window sill. You can follow DIY Dammit! by subscribing to the Nerdist playlist or following the channel itself. 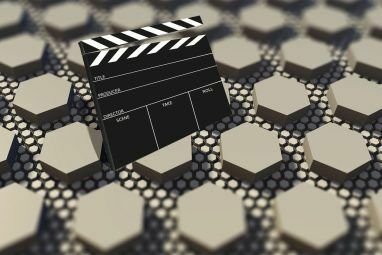 The show is relatively new, but already gaining traction after only 12 videos. Provided the ill-fated Pinterest craft ideas keep coming, we’re sure to see a lot more of DIY Dammit! throughout 2014 and beyond. Have you had any terrible experiences making crafts you saw online? Share your finest moments in the comments, below. Explore more about: Digital Art, Online Video, Pinterest, YouTube.